November 1, 1893- Former Yankees OF Alex Burr (1914) was born. Alex Burr appeared in 1 game with the Yankees in 1914 as a centerfielder with no fielding chances and no plate appearances. Burr was killed in an airplane accident on October 12,1918 while serving in the United States Air Service in Cazaux, France. Burr's plane crashed into a lake in flames; his body was not recovered. He had been serving in France since November of 1917. Alex was 24 years old at the time of his death. Burr was one of 5 MLB players who were killed in World War I. The others were: Bun Troy‚ Larry Chappell‚ Eddie Grant‚ and Ralph Sharman. Joe DiMaggio and Pee Wee Reese playing baseball in the service to entertain the troops. Sgt. Warren Spahn was wounded 63 years ago today as he and fellow members of the 276th Engineer Combat Battalion were making repairs on the heavily damaged Ludendorff Bridge spanning the Rhine River at Remagen, Germany. He was struck in his right foot by shrapnel from a German artillery shell. But nothing could be done to save that steel arch railroad bridge. The following day, St. Patrick's Day 1945, 28 heroic American soldiers of the 276th were killed and 63 others were wounded when the bridge, severely damaged from German artillery and aerial bombardment, collapsed into the Rhine. Ten days before its destruction, members of the United States 9th Armored Division captured and crossed the Ludendorff railroad bridge, the only bridge still standing across the Rhine. The retreating Wehrmacht, which failed to destroy the bridge before the arrival of the onrushing U.S. Army on March 7, 1945, maintained an around-the-clock assault on the bridge for the next 10 days. Division was joined by the 9th Infantry Division at Remagen as Americans set to work to cross the Rhine in large numbers. When the bridge fell, it marked a tragic part of a signal success by American forces as they were rapidly closing on Hitler's Germany and at Remagen breached the most symbolically important natural barrier protecting Germany's west flank -- the mighty Rhine. However, by the time the bridge fell, the Americans had established a substantial bridgehead on the far side of the Rhine at Erpel and had pontoon bridges in place. Spahn was not the only soldier at Remagen in March 1945 who would later make a name for himself as a major league baseball player. There were at least two others I know of, Lt. Ralph Houk and Sgt. Ken Trinkle. There were also two other men at the Remagen Bridge whom I got to know a few years later during my newspaper career. In March 1945 they were Col. William Westmoreland and Lt. Lindsey Nelson. Also at Remagen was another gentleman whom I have come to know as a good friend since we both retired to the Sandhills. Bob DeSandy, a native of Detroit who has lived in Southern Pines for two decades, was a combat medic with the 9th Infantry Division. Although he did not see the bridge collapse, he heard it when it crumbled into the Rhine around 3 p.m. that St. Patrick's Day, taking with it those American engineers. DeSandy gave me considerable information for this column by calling upon his sharp memory. Remagen, a small city well inside Germany and just a few miles south of Bonn, is directly east of the Ardennes Forest in Belgium where much of the Battle of the Bulge was waged, Dec. 16, 1944-- Jan. 25, 1945. Those U.S. troops at Remagen had just come through the terribly difficult but historic Battle of the Bulge where we turned back Hitler's last desperate attempt to break through the Western Front. Following the war Lindsey Nelson became one of the nation's best known and most talented sportscasters on radio and television. I knew him well as a result of covering New York Mets games and Notre Dame football games, both of which Nelson narrated so well. At Remagen, Col. Westmoreland was the 9th Infantry Division's chief of staff. I first met him when, as a major general, he was the Superintendent of his alma mater, the United States Military Academy at West Point, N.Y., 1960-1963. I covered Army football, basketball and other sports events at West Point for decades. While Westmoreland was Superintendent at the USMA, Paul Dietzel was the Army football coach and Bobby Knight, a corporal in the Army, was assigned to West Point as an assistant basketball coach under Tates Locke. Houk, whose nickname became "Major" because of his final WWII rank, was the New York Yankees' backup catcher behind Yogi Berra for seven years, 1947-1954. Then Houk managed the Yankees, 1961-1963 and 1966-1973. The Yanks won the AL pennant his first three seasons as manager and the World Series in 1961 and 1962. He later managed the Detroit Tigers and Boston Red Sox. Spahn, considered by some, including me, to be the greatest left-handed pitcher in major league history, did not win his first game as a pitcher for the Boston Braves until April 1946 when he was 25. That was 13 months after he was wounded in his right or landing foot and earned the Bronze Star and Purple Heart. Despite that late start to his major league career, this iron man among southpaws started 665 games, completed 382 of them and won 363 games, more than any other left-handed pitcher in history. He got all but his final seven victories with the Braves of Boston and Milwaukee, and concluded his career in 1965 by winning four games with the Mets and his last three with the San Francisco Giants. Trinkle became a successful relief pitcher for the New York Giants, 1946-1948, and then for the Philadelphia Phillies in 1949. He received the Bronze Star for action during the Battle of the Bulge with the 9th Armored Division. Houk also came home with a Bronze Star, Silver Star and Purple Heart. As a member of the 9th Armored Division he was wounded during the Battle of the Bulge. A total of 535 major league baseball players were either drafted or enlisted in the armed forces during World War II. Two of these ball players were killed in action -- Elmer Gedeon and Harry O'Neill. I know of at least two major leaguers who were captured by the Germans -- Mickey Grasso in North Africa and Dixie Howell while crossing the Meuse River in Belgium. Grasso later escaped his captors in Germany. Houk was one of a few New York Yankees who saw action. The man who beat him out for the Yanks' No. 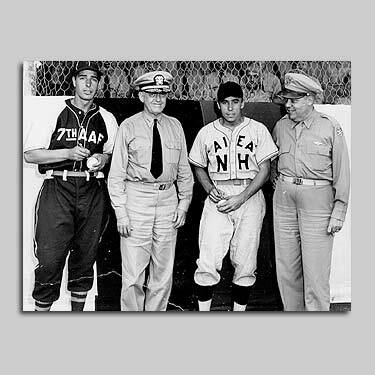 1 catching job after the war, Yogi Berra, was a gunner's mate aboard a Navy rocket launching ship off Normandy on D-Day. Marine Sgt. Hank Bauer, who was a teammate of Houk and Berra, played a dozen years in the outfield for the Yankees after WWII when they won seven World Series titles. He served 32 months in the South Pacific and saw action at New Georgia, Guam, Emirau and Okinawa. He was wounded on Guam and again on Okinawa. Jerry Coleman was another Yankee of that post WWII era who saw combat as a Marine pilot. 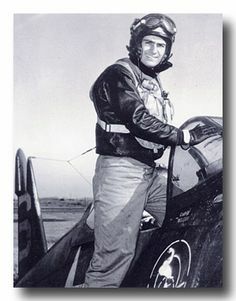 He flew 57 missions in World War II and the Yankee second baseman was recalled to fly 63 more missions in Korea in 1953. Ted Williams of the Boston Red Sox, who was also a Marine pilot in WWII, was recalled like Coleman to fly missions in the Korean War. Tommy Byrne, a North Carolina native and former Wake Forest mayor who died last December, was a successful Yankee left-handed pitcher. As a Navy lieutenant he served as a gunnery officer aboard the destroyer, USS Ordronaux, during battles in the Mediterranean. Phil Rizzuto, the "Scooter" shortstop for the Yanks, joined the Navy and was going into action in the South Pacific when he was felled by a near-fatal attack of malaria. Jake Jones, a Boston Red Sox first baseman after the war, shot down seven Japanese planes as a Navy fighter pilot in the South Pacific. Hank Greenberg, born in Manhattan and always hoping to play first base for the Yankees, became a Hall of Fame first baseman for the Detroit Tigers before becoming the first major league player to enter the armed forces because of WWII. He joined the Army, May 7, 1941. He served with the 20th Bomber Command of the US Army Air Force in the China-Burma-India Theatre. Buddy Lewis, a third baseman with the Washington Senators before and after the war, also served in the CBI Theater as a USAAF pilot flying the famous C-47 transports "over the hump." He returned with the Flying Cross and Air Medal. Born in Lowell, N. C., Lewis, 91, still lives in Gastonia where he ran an auto dealership after leaving major league baseball in 1950. Another nonagenarian native of North Carolina who lives in Pinehurst, John Derr, remembers Buddy Lewis very well. Derr was a tech sergeant during WWII and also assigned to the CBI theater. Derr, a newspaper man before the war and then director of CBS radio sports in New York following the war, was on special assignment attached to General Joseph Stillwell's headquarters in New Delhi. Once a week, Derr would give a 15-minute broadcast summary of the past week's sports events in the United States for the benefit of U.S. soldiers, sailors and marines within the CBI theater. Derr had to use a powerful BBC radio for this broadcast and had to get the approval of four censors before he could make the broadcast. Derr said, "Buddy Lewis, stationed at an airbase in southern China across very high mountains from New Delhi, would get into his C-47 and fly high enough so he could receive my broadcast each week. Then he would return to base and inform his buddies just what was going on in sports back home." On Dec. 8, 1941, the day after the attack on Pearl Harbor, Bob Feller enlisted in the Navy. He served as chief of an anti-aircraft gun crew aboard the battleship, USS Alabama, in the North Atlantic and the South Pacific. He saw action at the Gilbert and Marshall Islands and at Truk. The Baseball Hall of Fame players who saw battle action in WWII were Berra, Feller, Greenberg, Spahn and two New York Giants' players, outfielder Monte Irvin and pitcher Hoyt Wilhelm. Both Irvin and Wilhelm were at the Battle of the Bulge where Wilhelm was wounded. Elmer Gedeon, a University of Michigan athlete who became an outfielder for the Washington Senators in 1939, was later a captain in the 586th Bomb Squadron of the USAAF in Europe. He flew a twin engine B-26 Marauder bomber (photo above). He and five other members of his crew were killed when their plane was shot down over Germany, April 20, 1944. Harry O'Neill, a catcher who played in only one game for the Philadelphia Athletics, July 23, 1939, joined the Marines in 1941. He became a first lieutenant in the Marines 4th Division and was killed in action, March 6, 1945, on Iwo Jima. One of the most devastating injuries to a major leaguer, short of death, was suffered by Si Rosenthal who played only one season in the majors as a Red Sox outfielder in 1926. He joined the Navy at age 39 in 1943. A petty officer, Rosenthal was blown into the English Channel when his minesweeper, the USS Montonomah, struck a German mine, Sept. 25, 1944. Picked up by an English patrol boat, Rosenthal survived but never walked again. He was paralyzed from the waist down by the explosion that sank his minesweeper, killing 58 of his ship mates. Nine months earlier, on Christmas Day 1943, Rosenthal's son, Buddy, was killed during a Marine landing on New Britain in the South Pacific. The oldest major leaguer in WWII, Ted Kleinhans, served in both World Wars. Born in 1899, the Wisconsin native pitched for the Phillies, Reds and Yankees in the 1930s. He was an infantry sergeant in WWI and saw action in the Meuse-Argonne Campaign in 1918. 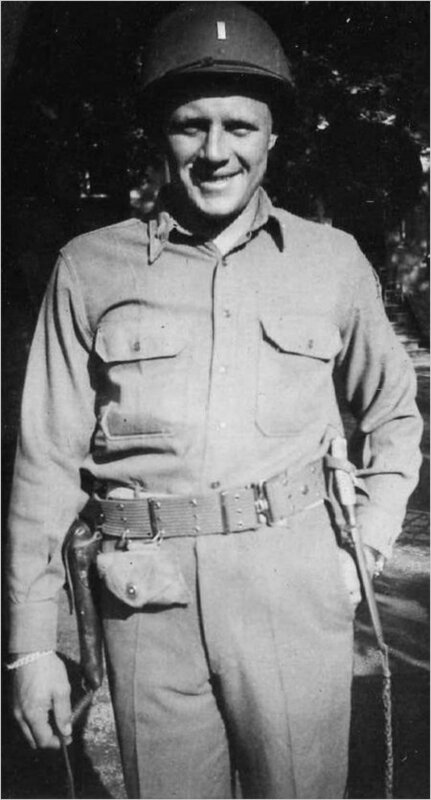 Then, at age 43 in 1942, Kleinhans volunteered with the 52nd General Hospital unit that served in Europe. Many more MLB players served, saw action and were wounded in WWII. I have only touched the surface in order to give a glimpse of how American athletes are not always the spoiled celebrities we often claim them to be. Gordon White served 43 years as a sports reporter for The New York Times. His e-mail is sports@thepilot.com. Ralph Houk was a catcher working his way through the New York Yankees' minor league system when the U.S. entered World War II. He enlisted in the armed forces, became an Army Ranger. He received a battlefield commission, rising from Private to Major. He was a combat veteran of Bastonge and the Battle of the Bulge. Ralph Houk was awarded the Silver Star, Bronze Star and the Purple Heart. Wow, great work as usual Clipper. Thanks. Saturday November 11th is Veteran's Day, Please don't forget those who have serve their country! Thursday November 11th is Veteran's Day, Please don't forget those who have serve their country! 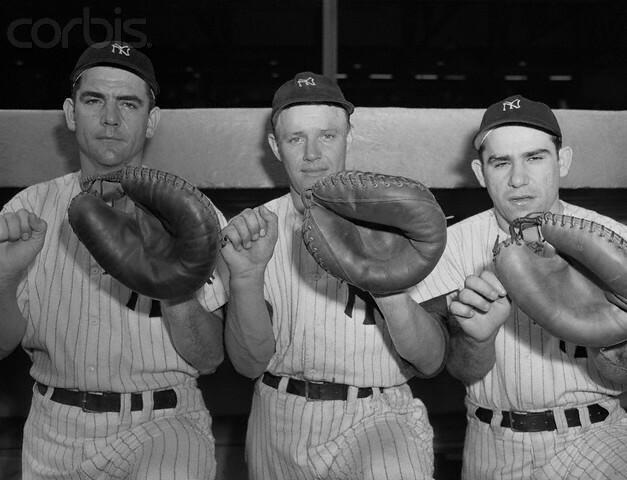 That picture of Yogi,Mickey,Joe and Ralph brought a tear to my eye. Yes it was Yankes era that will be missed. Only Yogi and Whitey along with few others are still around from the great 1950's Yankees teams. The 1961 Yankees had a lot of players pass away. Did you know that Yogi Berra was with the US Navy at D-Day landings and Ralph Houk who was a Army Ranger fought in the Battle of Bulge? Hank Bauer was at the battle of Iwo Jima with the Marines.